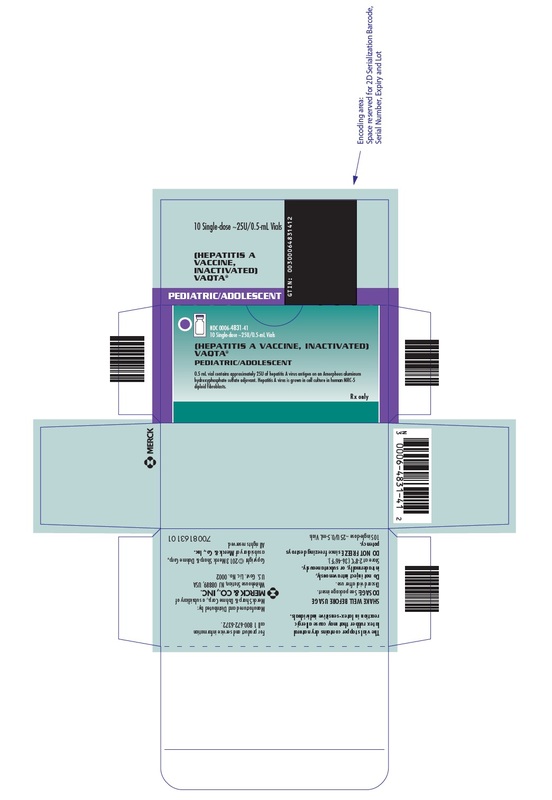 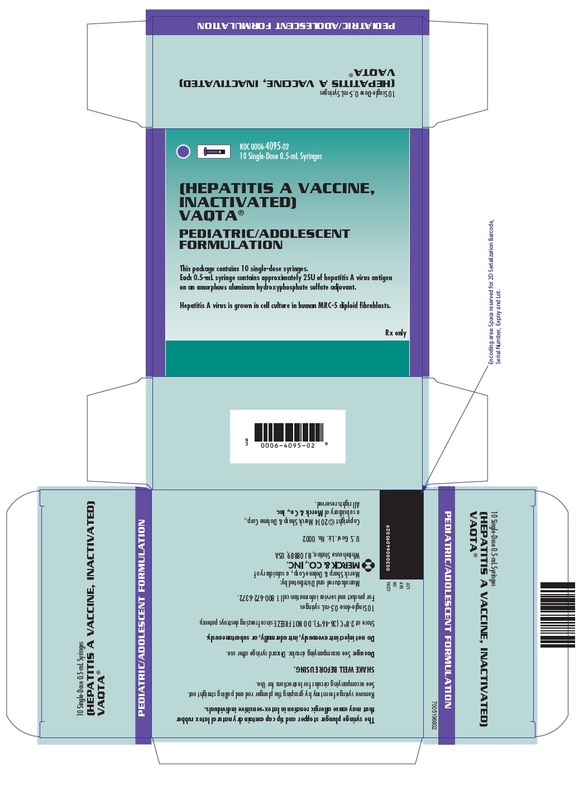 Vaqta with NDC 0006-4096 is a a vaccine lable product labeled by Merck Sharp & Dohme Corp.. 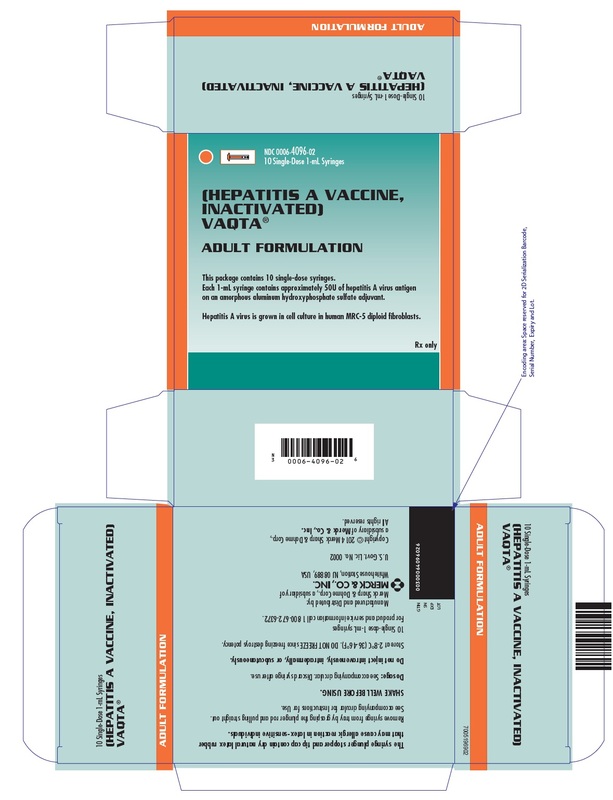 The generic name of Vaqta is hepatitis a vaccine, inactivated. 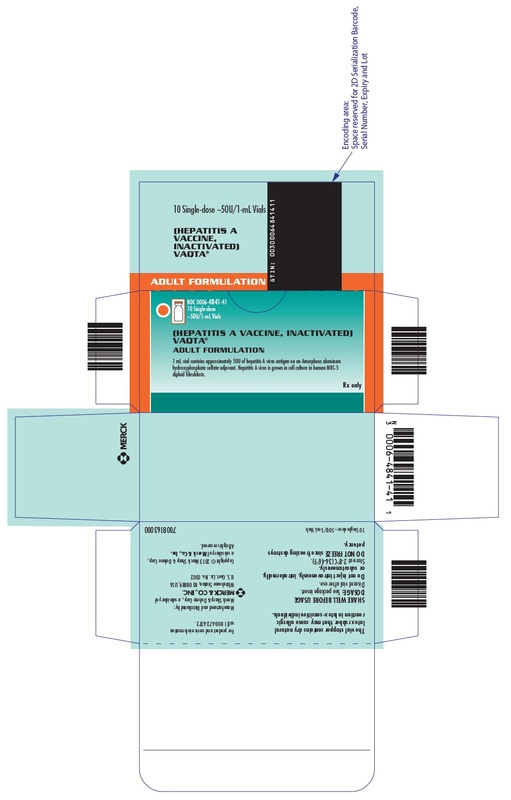 The product's dosage form is injection, suspension and is administered via intramuscular form.